Our beautiful beanie hat is perfect for the winter. 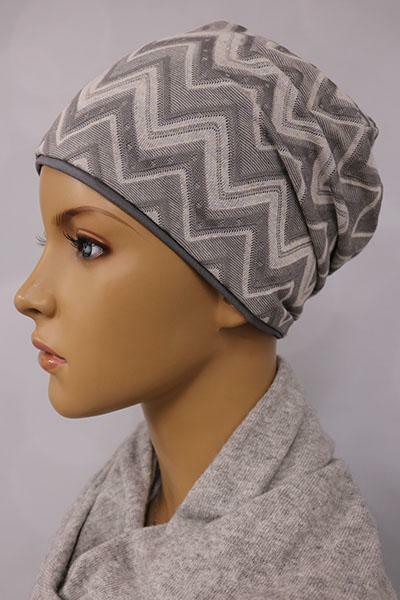 Can be worn either the patterned side or the plain reversible side. Perfect for wearing over our best selling hair halo.